Innovative, durable and affordable. 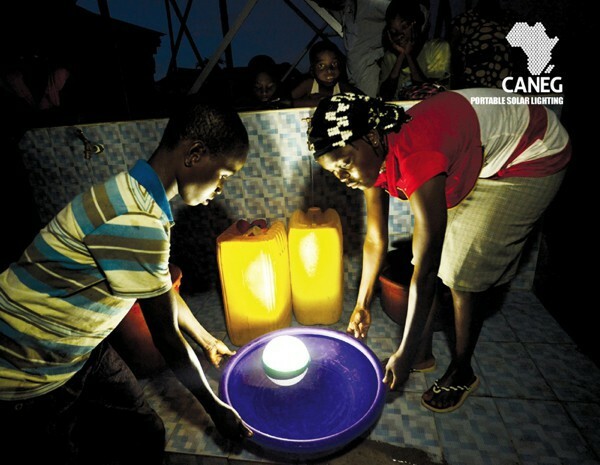 CANEG is a ditributor of arguably 'the best' portable solar lighting solution in the market. Download. 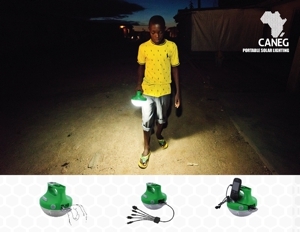 This amazing portable solar powered lighting system provides a complete set of end-to-end solutions for people plagued with sudden lighting shortages (eg. 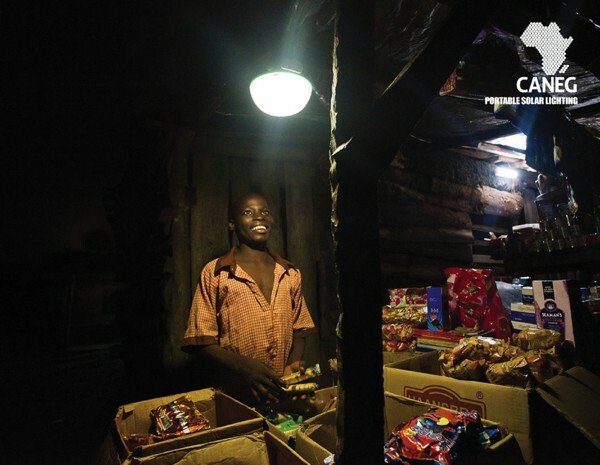 load-shedding) or people without access to energy at all (eg. Rural inhabitants). 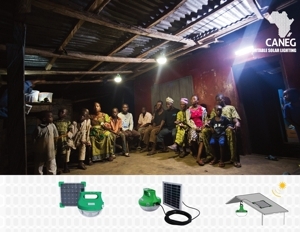 These systems provide safe, green and reliable access to energy. With innovative multiple-mounting options, these lamps conveniently light up surroundings and charge mobile phones wherever you are. 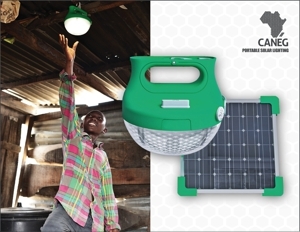 Energy Efficient: Thanks to electronic design, LED technology and Lithium Ferro Phosphate battery. Water Resistant: Up to 0.5m depth for one hour. Integrated Mobile Phone Charger: USB Cable with 5 adapters. 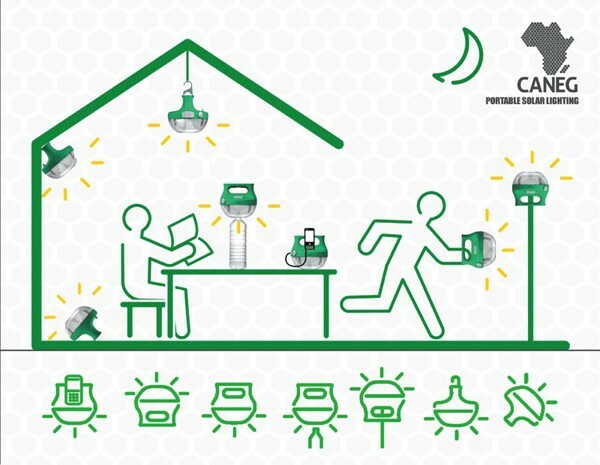 User Friendly: Plug & Play product with several ways to use the lamp. Up To 48 Hours Of Autonomy: With one day of charge. Power Consumption by LED: 1.2W. Solar Input Voltage: 8V - 16V (+/-1V DC). Efficiency of LED Controller: 85%. Maximum Light Output: 120 Lumens. Colour Of LEDS: Warm White 5000k Typical. 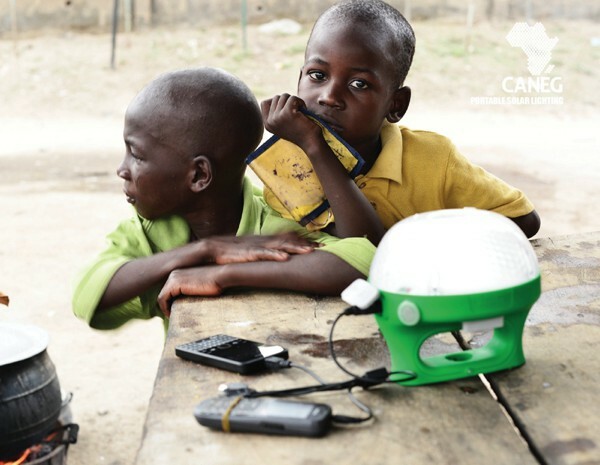 Battery Charging (Solar): Green LED Blinking. Battery Low: Red LED is Blinking. 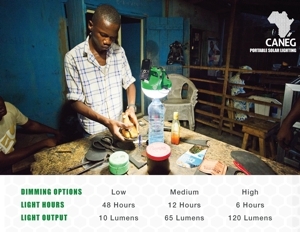 Backup Duration: Light only (6hrs -120 lumens, 12hrs - 55 lumens, 48hrs - 10 lumens). Cable Length (From Solar Panel To DC Input): 5m, 2 core, 22 AWG (0.32mm2). Solar Panel Type: Multi Crystalline Silicon. Battery Type: Lithium Ferro Phosphate. Mobile Phone Charger Port: 5V, 300 mA +/-10mA. Mobile Phone Charging Adaptors: 5 Pin adaptors.